This article may be review for some of you who have read here before. But for those who haven’t this article will truly blow your mind and open your eyes to a mystery that has been hidden within the parable of scripture. This is God, the mind, and you! And it is where science and faith meet head on and when it does it increases our faith with its findings. It’s been awhile since I have been inspired to write an essay. But this morning, revelation hit. Like Lightning from Heaven the SPARK OF INSPIRATION/CREATION came (revealed/unveiled) to me. Now it deals with the title of this essay, but before I get into that, I want to briefly share some other finding. This you will find is where scripture and science meet, and what happens is indeed wonderful. Let’s start by talking about that “Lightning”. Jesus (the truth revealed in man/God’s salvation revealed) is said to come like “Lightning” from Heaven. This is the way understanding/wisdom COMES (which means REVEALED, UNCOVERED). This is the way CHRIST COMES (The way WISDOM is REVEALED) – Like lightning from heaven. Now the first real give away that this isn’t speaking of some event OUTSIDE of us, is the word HEAVEN. And we know the Kingdom of Heaven does not come outside of us it is found within. I will get into this further in moment. Now let’s think for a moment about literal Lightning. In the dark of night, when lightning strikes, for a MOMENT you literally SEE EVERYTHING CLEARLY. You catch a glimpse into what was hidden by the darkness of night. And, this is the very same way the REVELATION of the TRUTH (Christ/Word) comes (is revealed). In glimpses we see, but we don’t retain the full knowledge of everything we have seen, whatever is closest to us we see clearly and remember, but things farther away we cannot make out as well. This is such a wonderful description of how REVELATION hits. The TRUTH of God many refer to as an onion, one that is very complex and has many layers. The more you peel away, the sweeter and more wonderful the find. Now let me for a moment show you why LIGHTNING is the perfect way to describe REVELATORY THOUGHT. Permit me to use science to further demonstrate this. This is how thought works: (scientifically speaking) Okay so first you need to understand that the cells that make up your nervous system are called Neurons. But that’s not the cool part, just very important for this “Lightning” in our brain to take place. 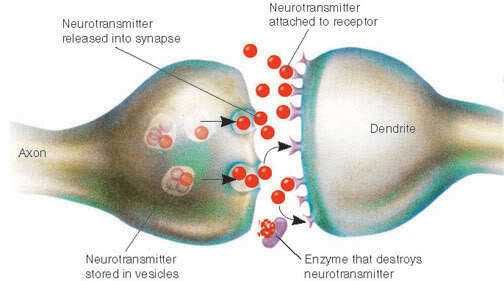 Now these Neurons connect to each other with SYNAPSES. Now when messages/thoughts/feelings/etc are transferred to each other it happens at LIGHTNING speed, via a Lightning fast chemical and ELECTRICAL reaction. – Now here is the deal, these synapses are FIRING CONSTANTLY, when thinking, praying, or sleeping these electrical and chemical impulses/messages are ALWAYS being transported from one to another. The Nervous system is often called the POWER LINES of your body, as chemical and electrical impulses are at always at work. Now here is when REVELATION meets SCIENCE. 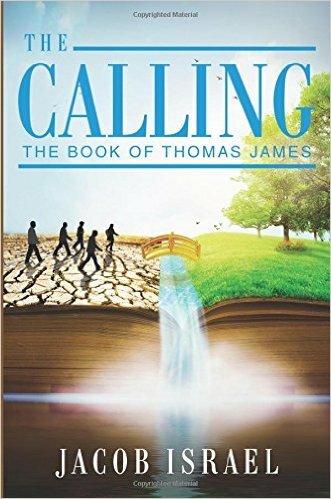 2 Listen carefully to the thunder of God’s voice (TRUTH) as it rolls from his mouth. 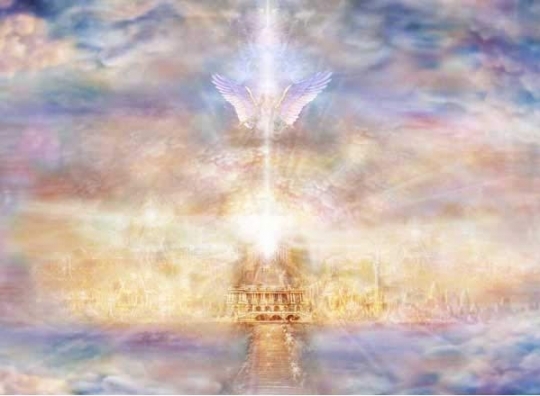 As I stated earlier the KINGDOM (REIGN) OF HEAVEN/GOD is WITHIN (in your midst, in YOU) – This is why we are told not to look outside of ourselves for God, because God is within, on his Throne (our minds). I often ask people what the TEMPLE OF GOD is, they happily tell me, “we are the Temple of God” where God exists. Then I ask people to point to their TEMPLES and I ask them, what is between their Temples. It is all about our MIND! This is why we are told to put on the MIND OF CHRIST (The thought of God’s truth/the ANNOINTING OF THE TRUTH). Now we see scientific findings backing up what was written by those prophets of old, who could never have known the intricacies of the brain. Much less, understand that when we THINK it is LIKE A LIGHTNING STORM going off in our brain. That alone should blow you away. But now let me explain something else before I really get into the meat of this paper. Now you read this scripture and hopefully understand that Jesus is speaking in PARABLE. But many make the mistake the word BRANCH here means literal people, as opposed to the THOUGHTS WITHIN that make us who we are. People are NOT their physical bodies they are spiritual beings (thoughts expressed) within physical bodies. Now the above scripture is NOT literal, just as we understand that the FRUIT people bear are good deeds and Godly attitudes and not bananas, apples, or oranges. So if the people do not bear fruit are THEY taken away? NO! The Branches that are NOT BEARING FRUIT are TAKEN AWAY, these are BRANCHES OF THOUGHT! Now watch how science and faith meet head on once again. Let’s first talk about what this word SPIRIT means. Earlier stated it was OUR THOUGHTS. God is TRUTH AND SPIRIT. God is not flesh and blood, but GOD IS SPIRIT and truth. God is also LOVE. These words “spirit, love, truth” are not physically tangible, they are THOUGHTS expressed. They begin within us, thought is our desires, our feelings, and it is expressed without as WORDS and ACTIONS. Words = SPIRIT = Spoken Thought = WE ARE DEALING WITH OUR THOUGHTS NOT PEOPLE, BUT PEOPLE’S THOUGHTS! John 15:2 – Every THOUGHT in ME (the body of Christ/humanity) that is not bearing Fruit (peaceful, charitable, humble, meek, kind, genuine thoughts and TRUTH) is purged!!!!!! Now, what will really blow your mind is when you find out what DENDRITES are. Here is a DENDRITES definition= a BRANCHED, TREELIKE protoplasmic process of a neuron that carries nerve impulses toward the cell body. What are DENDRITES you ask? Glad you asked. I’ve written about them before, but I’ll go into more detail for THOSE WHO WERE NOT PAYING ATTENTION THE LAST TIME! The dendrites (branch) job is to collect data, information and pass it along. Once again we find, if you want to find God in a microscope you’ll find God, in space you’ll find God, in the forest you’ll find God, in A CADAVER you’ll find God, In scripture you’ll find God… It ALL WORKS TOGETHER and ALL BEARS WITNESS to the TRUTH/MYSTERY that is WITHIN US ALL. Here is an interesting FACTOID! FIG TREES do not grow well in Michigan because the environment is too STRESSFUL for them. Is that true? YES! Did Jacob say, Fig Trees don’t grow well in STRESS? YES! A fig tree is best grown in a quiet, peaceful environment. WEIRD RIGHT? Not really, when you understand that GOD MADE ALL THINGS and if there is LIFE in that thing (fig tree) GOD IS IN IT! – This is why some people sing and talk to their plants. Studies have shown some music helps plants to thrive, while other music does not. Now what does the FIG TREE have to do with the DENDRITES/BRANCHES? And why even bring it up? Well, for a Brain to heal, NEW DENDRITES/BRANCHES need to form, and for ANYONE TO HEAL NEOROLOGICALLY they need to be in a stress free environment, as well as get plenty of REST, LOVE, NURTURING, STIMULATION, and SUNLIGHT – Yes, SONLIGHT- As the SON/SUN helps all things to GROW, so the TRUTH SHINING BRIGHT WITHIN DOES AS WELL. But back to our DENDRITE/BRANCHES of the FIG TREE EXAMPLE. 28Now learn a parable of the FIG TREE; When her branch is yet tender, and putteth forth leaves, ye know that summer is near: 29So ye in like manner, when ye shall see these things come to pass, know that it is nigh, even at the doors. Now watch the TRANSLATION, when NEW BRANCHES OF THOUGHT begin to form, we know FRUIT WILL SOON COME! Once you begin to SEE the Kingdom of Heaven in a new way, you know THE HARVEST is soon approaching. Which means SOON you will be walking in the knowledge of the truth. Till we all come in the unity of the faith, and of the knowledge of the Son of God, unto a perfect man, unto the measure of the stature of the fullness of Christ:…. AND, we will no longer be tossed back and forth with the nonsense being spouted from the pulpits, altars, temples, mosque’s, kingdom halls, quaker meeting houses, etc… but we will KNOW AS WE ARE KNOWN = We will know we are GOD’S CHILD! At that point, NEW BRANCHES OF THOUGHT rooted in TRUTH form… We no longer serve the OLD THOUGHTS/LIES of our sensual understanding (left brain thinking) but we will align ourselves with the TRUTH OF GOD and live out of the SPIRIT of CREATION (Right brain thinking) – we will put off the old for the new! It’s all about KNOWLEDGE, UNDERSTANDING, WISDOM! This is what the KINGDOM OF HEAVEN IS ALL ABOUT! 13 Happy is the man that findeth WISDOM, and the man that getteth UNDERSTANDING. 14 For the merchandise of it is better than the merchandise of silver, and the gain thereof than fine gold. 15 She is more precious than rubies: and all the things thou canst desire are not to be compared unto her. 16 Length of days is in her right hand; and in her left hand riches and honour. 17Her ways are ways of pleasantness, and all her paths are peace. 18 SHE IS A TREE OF LIFE to them that lay hold upon her: and happy is every one that retaineth her. WISDOM IS A TREE OF LIFE – from which many branches (dendrites) grow, first leaves (basic understanding shoot forth) then FRUIT! It is all about KNOWING GOD and the SON (humanity resurrected from within) – this is ETERNAL LIFE! SALVATION is not a FUTURE EVENT. But a NOW EVENT! And that, knowing the time, that now it is high time to awake out of sleep: for now is our salvation nearer than when we believed. And Salvation is NOT about saying a couple of catch phrases, going to church/temple/mosque and doing what your Religious leader says to do. It is about UNDERSTANDING GOD IS IN CONTROL! Solomon understood EVERYTHING IS VANITY with the exception of KNOWING GOD. Knowing It is GOD THAT DOES ALL AND WILLS ALL! Oh, but what about saying “Jesus I ask you INTO MY LIFE and make you LORD OF MY LIFE.” And then the preacher says, “If you said that prayer I believe you are saved!” I am sorry to say, this may be a step for many, but it is far from being born again. Salvation is a process, the Onion of truth within us needs to be peeled away daily. The good news is no one can fail, we are predetermined (preprogrammed) for salvation. You can’t say a couple of things because they sound good to you, follow after your itching ears and know salvation. Salvation is like BIRTH (being Born again) and that is a PROCESS. It isn’t whamo you’re saved! BTW, this is how we are saved when we CONFESS (ADMIT/EXHIBIT) THE NATURE OF CHRIST… The word “Name” translates into NATURE. But I digress, the CHRIST NATURE (God’s Power and Wisdom) was put to death (covered/veiled) by the CARNAL NATURE. As Cane killed Abel, So our CARNAL EGO (who we think we are) puts to death (makes us ignorant of) WHO WE REALLY ARE (God’s child) after being born and believing all the brainwashing and nonsense that FORMED US (dust = lies) which by the way is what the SERPENT EATS DUST. To eat means to assimilate. But little by little that YOUNGER (newer) NATURE (CHRIST) takes control. And soon overthrows all the nonsense lies we have believed with the BRIGHTNESS OF HIS COMING (revealing). Yea doubtless, and I count all things but loss for the excellency of the knowledge of Christ Jesus my Lord: for whom I have suffered the loss of all things, and do count them but dung, that I may win Christ. When the BRANCHES/TARES/GOATS and any other allegory to describe the THOUGHTS of the WORLD as OPPOSED TO THE KINGDOM (reign) OF GOD are gathered and purged/burned… we will INHERIT THE UNDERSTANDING OF WHO WE TRULY ARE! Hereafter shall the Son of man sit on the right hand of the power of God. You see, even our SUFFERINGS are paving our way to the KINGDOM! But now to the CROSS of my essay! The great revelation that HIT ME right where CHRIST sits! THE RIGHT HAND OF THE FATHER! I have always known that THE RIGHT HAND is a symbol of the TRUTH OF GOD, and the LEFT HAND is where SATAN rules, representing the Temporal world… But not until this morning when Bill sent me a curious link, did I begin to “SEE” the truth of what the RIGHT HAND AND LEFT HAND REALLY WAS! I have always written about the workings of the brain, twelve disciples (twelve pairs of cranial nerves) 24 kings seated around the throne. ETC, ETC, But never put two and two TOGETHER INTO ONE! Now to SIT is an ALLEGORY of being ROOTED IN SOMETHING. So to SIT at the RIGHT HAND of the FATHER, means to be ROOTED IN HIS TEACHING/WISDOM. THIS HAS NOTHING TO DO WITH A LITERAL HAND! Now, this is the LIGHTNING (Enlightening) that struck me… I looked up what functions the RIGHT AND LEFT Hemisphere perform… and I was BLOWN AWAY! RIGHT BRAIN FUNCTIONS : uses feeling, “big picture” oriented, imagination rules, symbols and images (ALLEGORY), present and future, philosophy & religion, can “get it”, belief, appreciates spatial perception, fantasy based, presents possibilities. FAITH! You see the LEFT BRAIN FUNCTION deals with TANGIBLE, TEMPORAL THINGS, like logic, facts, words, math, perception, reality based ideas, practical thinking… THE LEFT BRAIN deals with WORLDLY THINKING… And who is king of the world “Satan” – Man’s Carnal Egotistical Nature. Now the RIGHT BRAIN FUNCTION on the other hand, uses feelings, intuition, imagination, religion, philosophy, fantasy, belief, faith…. THIS IS THE RIGHT HAND OF THE FATHER we MUST SIT DOWN AT! The RIGHT BRAIN is the SEAT that deals with FAITH. The LEFT BRAIN cannot accept what isn’t seen, it deals with perception, logic, MAN’S UNDERSTANDING… but without FAITH it is IMPOSSIBLE TO PLEASE GOD! These are the TWO MEN (carnal/worldly left brain – spiritual/heavenly right brain) sleeping in one bed. These are the TWO NATURES at war. 17 The sinful nature wants to do evil, which is just the opposite of what the Spirit wants. And the Spirit gives us desires that are the opposite of what the sinful nature desires. These two forces are constantly fighting each other, so you are not free to carry out your good intentions. And what does scripture say about a double minded man? Now history shows that it isn’t until recently that our RIGHT HEMISPHERE thinking has evolved. Back in CAVEMAN days, they dealt in the lowest of carnal realms, the SERPENT (BRAIN STEM/REPTILIAN BRAIN) — But now is TIME for us to WAKE OUT OF THIS SLUMBER and SIT DOWN AT THE RIGHT HAND OF THE FATHER AS WELL! 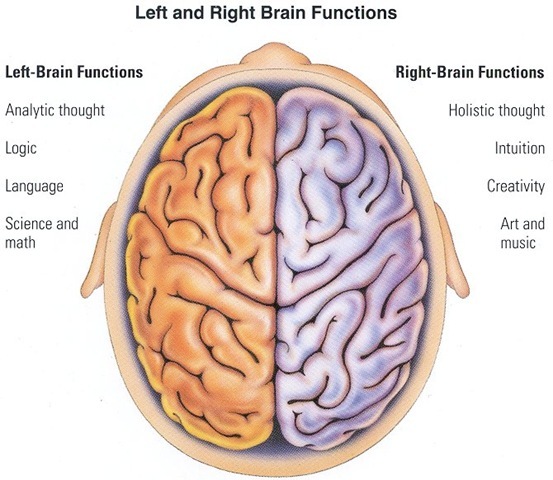 Now, If the RIGHT HEMISPHERE is the RIGHT HAND of GOD (Where God’s truth/inspiration is imparted) and the LEFT HEMISPHERE is where (Man’s logic, and man’s ways are ruling) — THEN WHERE IS GOD THE FATHER FOUND? Well, I should know that better than anyone. And Jacob called the name of the place PENIEL: for I have seen God face to face, and my life is preserved. Sound familiar to any of you geeks out there? 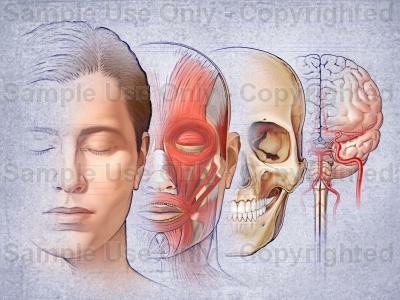 THE PINEAL GLAND, also known, and called by many the THIRD EYE, or as Rene Descartes called it the SEAT OF THE SOUL… But the PINEAL GLAND is an ENDOCRINE gland which is very, very, very, tiny. Now very little is known about the PINEAL GLAND with the exception that it produces MELATONIN, which is affected by the amount of LIGHT or DARKNESS a person gets. For example if their surroundings are dark, it makes the person SLEEP. (The allegory being, when you are ignorant you are asleep/dead/carnal) but when the LIGHT shines it WAKES YOU! So the PINEAL GLAND is like OUR MASTER clock telling us when it is time to sleep and when to wake up… And the RIGHT HEMISPHERE AND LEFT HEMISPHERE are located on either side of it. Now, what does all of this have to do with our FAITH? If anything, once again it shows that we can find the TRUTH OF GOD EVERYTHING, especially WITHIN! So shut your eyes, cut off that LEFT BRAIN THINKING and COME UP HIGHER!